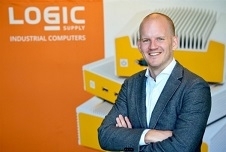 JULY, 6 2017 (RIJSWIJK, NL) - Global industrial and embedded computer manufacturer Logic Supply (www.logicsupply.com) has announced today the hiring of Gabor Lochte as its new European Sales Director. In this role, Lochte will drive European sales to achieve Logic Supply’s ambitious growth strategy. Lochte brings to his new role over ten years experience in the Industrial PC market, including work in specific verticals like Healthcare, Transportation, Automation and IoT. In his most recent position with Radisys, Lochte served as the Global Account Director for a major customer which experienced 30%+ revenue growth year over year. Lochte previously served in partner development and sales management positions for several companies, including Advantech and Intel. About Logic Supply: A leading Industrial PC company, Logic Supply designs highly-configurable computers engineered for reliability. Their systems operate in the harshest environments and power innovation in the evolving Internet of Things. Fueled by a unique direct-to-customer business model that combines vertical integration, modular product design and a powerful online platform, Logic Supply offers computers “designed to last, built to order, and delivered in days.” Founded in 2003, the company has served more than 60,000 customers. Logic Supply has offices in North America, Europe, and Taiwan. See why today’s technology companies Depend on Logic at www.logicsupply.com and on Twitter @LogicSupply.